If you're unfamiliar with the name of Laika animation, you'd definitely know their features. 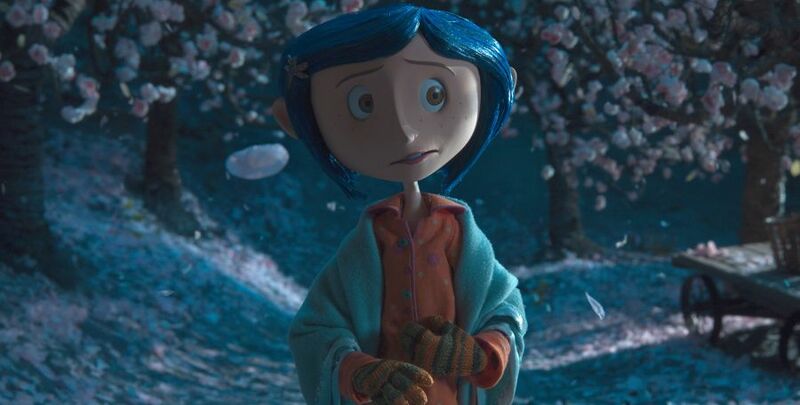 The studio is behind such features as 'Coraline', 'ParaNorman', 'The Boxtrolls' and 'Kubo and the Two Strings'. They have been active for 13 years and are major players in the stop motion animation industry. Chris Butler has been a key member of the Laika team since its inception. He wrote four of the company's films, and directed two of them - 'ParaNorman' and 'Missing Link', their latest. Chris, congratulations on 'Missing Link.' Such a sweet movie which I really think is ideal for all the family to watch - old, young, everyone. I'm glad you think so, that was what we hoped. I've been a fan of your work at Laika for years. I think that the movies that that company produces are just so unique, so unlike anything else that's out there, so I was wondering first of all how did you end up actually working for Laika in the first place? I started on 'Caroline' when Laika was in its infancy, it was their first movie. I'd worked on 'Corpse Bride' in London and that had a Laika involvement even though it wasn't strictly a Laika movie, but a lot of the guys who were there knew of Laika so that's when I first started hearing about it. And then I heard about 'Caroline' starting up in Portland, Oregon, and I'd always wanted to work with Henry Selleck and it seemed like it was a really exciting project, really kind of unusual and unique. So I went out and read the Neil Gaiman book and I thought I have to do this. I just packed my bag and left. My intention was to go there for six months to work on the movie and I think I've been there 13 years now. 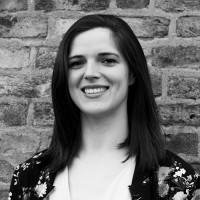 You initially worked as a storyboard artist on the likes of 'Caroline' and you mentioned 'Corpse Bride' there as well. So what does working as a storyboard artist entail? So because the animation is so time-consuming, you can't approach it the same way that you would a live-action movie. If you've got actors acting out a scene in live action, you can move the camera around, you can change the shot. You can have them re-do a scene multiple times. Of course you can't really do that in animation. You have to know exactly what shot you're getting before you start because it takes so long to do, and the way you do that is by kind of making the movie twice. You make it first in storyboards, so you draw every shot. It's like a giant comic book and you cut that together in the edit suite as if it was the real movie and we put on temporary dialogue and temporary music and you see how the movie is going to be. So you can make changes at that stage when it's just drawings before you commit to the actual shots. What was the process like of going from the art and animation department where you kind of started to writing and directing which is what you're doing now? It just felt like a natural progression. I think I got into storyboarding in the first place because I loved drawing but I also loved writing and I think most story artists have a little bit of that writer in them as well. Part of that job is figuring out camera angles and figuring out cutting composition, so it's kind of like being a mini director. I think I enjoy different aspects of writing for different reasons. I love kind of shutting myself away for a few months and just writing, letting an idea form and then become something very different. It's very hard to go from being a writer where you're surrounded by no one to being a director where you're surrounded by four hundred and fifty people. So it can be quite jarring. I want to ask a bit more about your writing actually because you've written three features for Laika between 'Paranorman', ' Kubo and the Two Strings' and 'Missing Link', but all three are so, so different. What was the inspiration behind each of them? Different things. I think always there is myself in there somewhere. They are very, very different. I mean they're different genres really, and I think what connects them is my voice is in all of them. But it's interesting to me that someone pointed out that this theme of belonging, of where you belong in the world, how you fit in with other people, is in all of them. I actually see that coming up in other animated movies as well and I think that's because that is very, very important for kids, figuring out where you fit into the world. And I enjoy watching different genres. I think most people do. I get a real kick out of big action- packed, adventure movies but I get a kick out of more emotional stuff and broad comedy. I think what's great about animation and my time at Laika so far is that I've had the opportunity to really play in all those different areas. 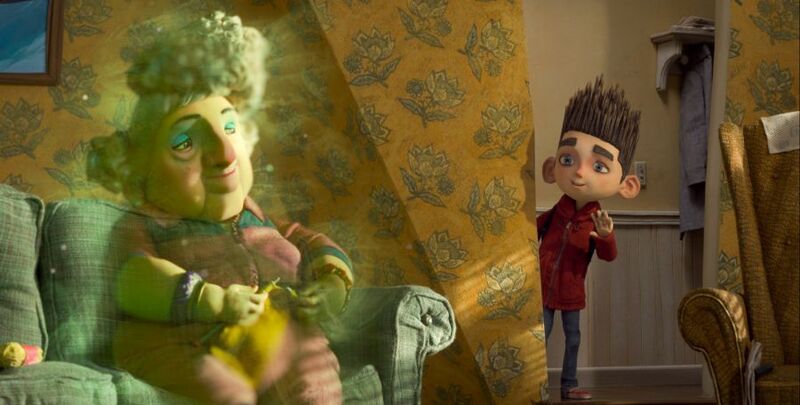 'Paranorman' came from a lot of horror movies. Even at an early age, I was watching horror movies and zombie movies, but it was also informed by my childhood to an extent, feeling like I didn't quite fit in. Obviously I didn't talk to ghosts, well not often, but that's where that came from. 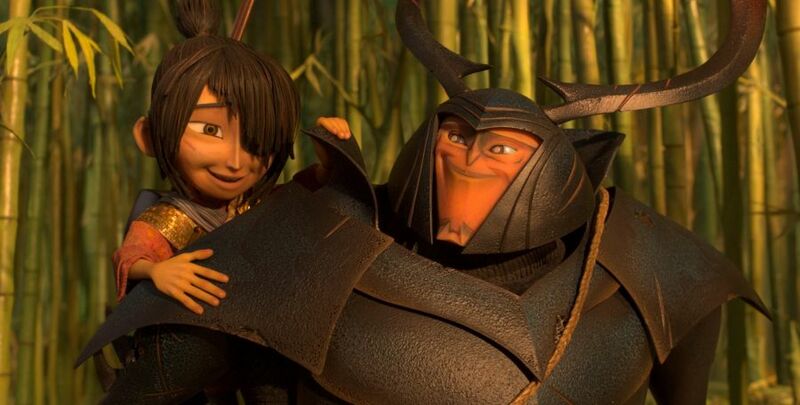 'Kubo' already existed as a script by Marc Haimes based on Shannon Tindle's story, and that was a challenge for me because it was the first time that I did a couple of drafts based on someone else's work but I mean, it was a joy to work on because when I first read that script, it was so thrilling to me and so emotionally resonant that it made it all pretty easy. I think it was more about getting my head in tone and getting my head into someone else's world but that was a really good experience. Then 'Missing Link' I think was also informed by the kinds of movies and books that I read as a kid. I was really into Sherlock Holmes, I was really into Indiana Jones, and I wanted to do something very, very different. Actually they are all very different, but I wanted to do something that was aesthetically different as well. I felt like it was time to do something a little more playful, a little lighter, and I think that was a conscious decision after some of the creepiness of 'Paranorman' and the emotion of 'Kubo'. It was asking "can we do something a little brighter, a little bolder, a little more colourful" at Laika. 'Missing Link' is your second feature that you've directed after 'Paranorman'. How did directing the two compare, were the scales different? When you're directing on your own, you don't have that. It's all very squarely lying on your shoulders, which is challenging and difficult. I think the other big difference is this was such a bigger movie, a lot more ambitious. In terms of the scope and the scale, it was bigger than anything we've done before at the studio. Just logistically, it was a difficult movie to get done. But I think for me, you know just stepping back was so important. I watched the movie pretty much every week while we were making it, in various forms, and I always loved it and I think that's what was important to me to keep hold of, the fact that I love these characters and I love spending time with them. 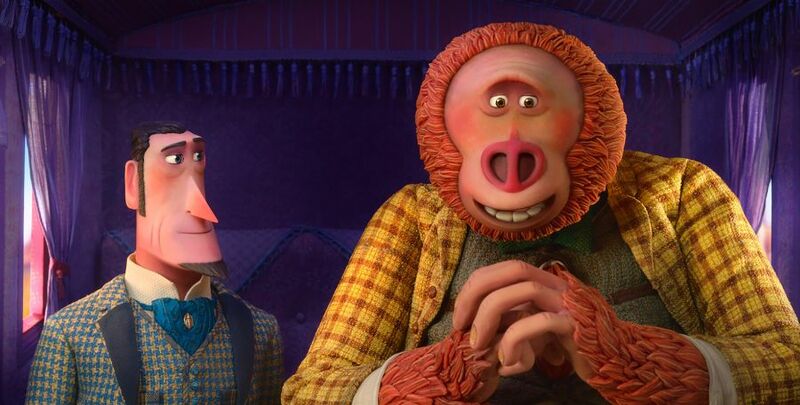 You have been working with Laika and this type of animation for over a decade, and there would have even been quite a number of years between ' Paranorman' and 'Missing Link'. Have there been developments in the actual stop motion animation style itself in recent years? Because it's always been associated with being very traditional and hand-crafted, you can see little thumbprints on the characters. Is CGI more of a factor now too? Yes, I mean, I think throughout our history there have been developments. There have been multiple innovations and I think we've been driving a lot of them. There is a charm to stop motion and that can be partly what you're saying about the thumbs of the animator, seeing how this object has been manipulated, and there's something wonderful about that. But the medium doesn't just have to be that. I think what we've tried to do at Laika is maintain what's special about stop motion but also use technology, use all these tools that are around us to try and push the medium forward. I think that's enabled us to tell different kinds of stories and to tell bigger stories with a bigger scope and scale. Me personally, I'm not a purist. I want to be able to use whatever tool I can to give the audience the best looking image on the screen. So many of the things that we've done at the studio in themselves are just like little minor miracles. There are the 3-D printers creating the facial animation, and a lot of the stuff that we've been doing digitally has really opened up the medium. So I think there's room for everything. There's room for that kind of warm nostalgia of the old-fashioned way of doing it. But there's room also to innovate. You always hear of stop motion animated features taking years and years to complete. Was 'Missing Link' a quicker production than the average? I think it depends on how you spin the figures. For most productions the actual shooting part takes about a year and a half. Obviously you have development and you have pre-production when you're building the actual assets, finalizing designs and creating the sets and puppets. That's normally about a year, though it can be a little bit longer. The shooting on this was actually two years, so it was a long shoot. Altogether I'd say it was about five years and I think it's normal for an animated movie of any type to be somewhere between three and a half and five years. That's fairly typical. This was on the longer side just because of the size of the thing. You mentioned that it was a particularly difficult shoot. What was the biggest challenge, if you had to pick one from the whole production, be it in pre-production, during shooting, developing or in post-, that you had to overcome? I would probably have to say the amount of sets. Because it's a travelogue, you don't really return to the same place twice. The characters are constantly moving throughout the movie and they're crossing half of the world so that means there's an awful lot of location changes. Quite often stop motion movies have a smaller scale because of the limitations of the medium, because these things are physical sets, physical puppets. Because of our digital innovations, we were able to make a much bigger movie, to paint on a much bigger canvas, but that's still logistically an awful lot of ground to cover, a lot of design work and a lot of just physical carpentry, metal work etc. creating all these places. Then they all have to be dressed, they all have to be painted. They all have to be populated with props and objects. We built half the world is the truth. So that was a tall order and I think they did a fantastic job with it. Another thing I have to ask about 'Missing Link' is that cast you have lined up, it is just incredible. There’s Hugh Jackman, Zoe Saldana, Zach Galifianakis, Emma Thompson, you've got a bunch of great British comedians too. What was it like working with the cast and was there any cast member in particular that surprised you with the voice they produced for the movie? It was a treat. You always hope when you start off and you start writing down a list of people that you think would be right for the role - a wish list, if you like. And I was fortunate enough to get most people on my wish list. I think at first it can be quite intimidating when you've got Hugh Jackman and Zoe Saldana in the recording booth in front of you, reading lines that you've written. It's scary. But very quickly, it becomes something else, it evolves. And that's the best part to me, it's when a character that only existed in my head starts to take form, and that's because of what the actor is bringing to it. And like you say, we're working with such skilled actors, that it becomes a treat to watch this character take on its own life in front of you. I mean I love them all for different reasons - I think Hugh's English accent is probably better than mine. I think that Zach brought such a lovely vulnerability to Link and made him a much more charming creature. Because of Zach's performance, I went back and rewrote a lot of stuff because he brought such nuance to it which was wonderfully inspirational. And I had cast Emma Thompson as a Yeti. I mean, who gets to do that? My last question for you then Chris is what would be the advice that you would offer to someone who is aspiring to work in the animation industry? I would always say that you just kind of have to give it a go. I think when I started out there wasn't a huge amount of opportunity and there wasn't the means to do it. So I went out and I drew all the time. I bought every book that I possibly could about the process, I watched every documentary. Now I think everyone has access to the ability to create something in this medium. Everyone has apps on their phones and everyone has computers, so you can start to produce your own stuff. And you've got to pursue it, not just draw what you want but try and improve the way you draw it. Do life drawing. Try and build up a portfolio that will get you a job. And be able to take criticism - you want to get your work out there and show it to people who can give you feedback that will improve what you're doing. ‘Missing Link’ hits Irish cinemas on Friday, April 5th.